Born at Milton, Ontario on 30 September 1856, son of Edward and Mary Ann Martin, he was educated at the Milton public school. He commenced business as a druggist at Ottawa, Ontario in 1887, coming to Winnipeg in 1890 and founding the firm of Martin, Rosser & Company in partnership with H. Rosser. On Rosser’s retirement, he carried on business as E. D. Martin & Company which later amalgamated with Bole, Wynne & Company to form the wholesale pharmacy firm of Martin, Bole & Wynne Company. He was also President of the Western Manufacturing Company and the Winnipeg Lodging and Coffee House Association, and a director of the Great West Permanent Loan Company, the Canada National Fire Insurance Company, and the Imperial Canadian Trust Company. He served as President of the Manitoba Pharmaceutical Association (1904-1906). In 1879, he married Agnes Jane Perry at Ottawa, Ontario. They had eight children, six of whom survived into the 20th century: Bessie Martin (b 1882, wife of A. C. Gillespie), Edward Watson Martin (b 1883), Jean Agnes Martin (b 1886), Margory M. Martin (b 1890), Mary F. Martin (b 1894), and Irma M. Martin (b 1896), and John F. Martin (b 1898). 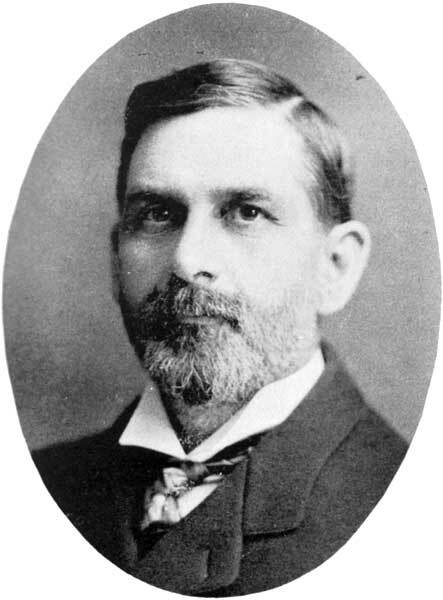 He served on the Winnipeg City Council from 1898 to 1899. He was a candidate in the 1900 federal general election but was defeated by A. W. Puttee. He was President of the YMCA for six years, and President of the Winnipeg Board of Trade (1908-1909) and, during his tenure, represented the Board at Congress of Chambers of Commerce of Empire at Sydney, Australia. He was noted for his philanthropic work and the Selkirk centennial project. In 1911, he lived at 223 Colony Street. He died at Toronto, Ontario on 14 May 1938 and was buried in the St. John’s Cemetery. “Puttee elected,” Manitoba Free Press, 6 February 1900, page 6. “E. D. Martin leaves estate of $214,558,” Winnipeg Tribune, 14 June 1938, page 1.